Is it coincidence that Amazon’s plan to build a massive satellite constellation to deliver worldwide broadband leaks out the same week SpaceX announces its first launch for its broadband constellation? I doubt it. While Amazon may be seen by industry analysts as coming late to the party, the timing may be just right. Jeff Bezos (and the executive team at Amazon, to be fair!) does not fool around. 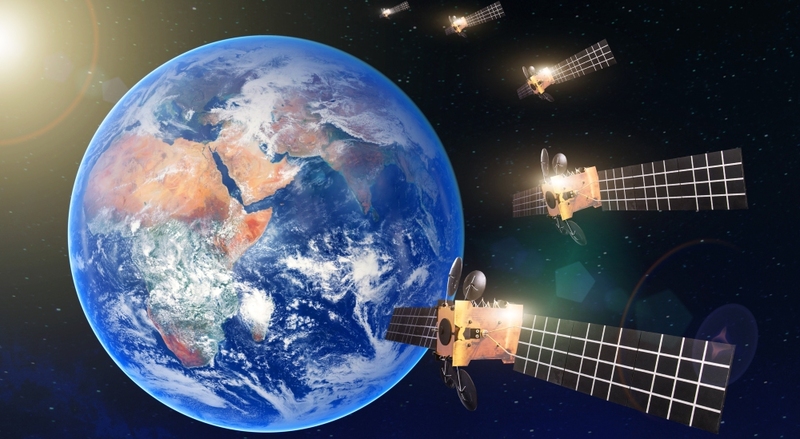 War is coming and Amazon has at least three cards OneWeb, SpaceX, Telesat and LeoSat don’t when it comes to building a successful global broadband constellation. “Project Kupier,” the code name for Amazon’s plan to put 3,236 satellites into Low Earth Orbit (LEO), was first revealed this week with a story in GeekWire describing International Telecommunications Union (ITU) filings put through by the Federal Communications Commission on behalf of Kuiper Systems LLC to get permission to launch satellites into orbit and reserve frequencies. GeekWire called Amazon and the company emailed them a statement claiming responsibility for Project Kuiper, saying the satellite network would provide data coverage from 56 degrees North latitude to 56 degrees south latitude, covering the area where about 95 percent of the world’s population lives. Two other stories dropped shortly after, with Amazon putting out ads for 75 positions at the newly decloaked Project Kupier and a CNBC story revealing Amazon had hired at least two senior executives who worked on the StarLink broadband project before its reorganization after Elon felt the project wasn’t moving fast enough. Filing the ITU paper work and staffing up means Amazon is on a path to launch satellites in the next three to four years, assuming no major hiccups. This isn’t going to be a thought experiment or something that languishes in R&D for years, like Apple’s efforts to roll out a video subscription service or autonomous cars. To be fair, Amazon has had its share of failures, such as the Fire Phone. Building a large constellation of satellites to deliver broadband is going to be a massively expensive undertaking with a price tag of at least $5 billion to $6 billion dollars and the company will be joining a market with OneWeb, SpaceX, and Telesat selling to businesses and consumers and LeoSat focusing on enterprise customers. The three cards Amazon brings to the table are cash, market timing, and consumer electronics experience. Cash is an easy one to describe. Amazon is worth around $900 billion on any given stock market day and generated a gross profit of almost $94 billion last year. It’s got enough money flowing through its coffers to spread out the project over several years and could structure finances in a couple different ways if it needed to raise additional capital. It could buy a satellite company to provide production control and supplier security for the spacecraft it will need to build. First-time market entrants are going to educate new users and open up new markets beyond the current satellite broadband market. They will learn a lot of valuable lessons which Amazon will acquire through study and hiring of former OneWeb/SpaceX/Telesat/LeoSat employees. Amazon won’t have to go in cold, unlike SpaceX. Does experience with selling $50,000 Teslas translate to consumer-grade services collecting $150-200 per month? Are there enough business customers willing to move from terrestrial connections to satellite to pay the bills for all five service providers? Amazon will also have the benefit of multiple vendors producing high-performance, lower-cost satellite ground terminal equipment. It will be able to tap into a supplier ecosystem that is just starting to emerge in 2019, one that should be thoroughly debugged and tested by the time Amazon starts buying parts to put together its consumer equipment. The company will be able to apply its knowledge and experience of building things like the Kindle and Alexa to the task of building a satellite antenna and modem/router combo, maybe even with an onboard Alexa voice assistant to assist in setup. Other advantages people will attribute to Amazon for Project Kuiper are its relationship with the Blue Origin spaceflight company and the ability to use broadband for its own internal purposes. Blue Origin’s New Glenn reusable rocket will make its first flight in 2021 and will provide lower-cost access to space than most existing systems. Putting Blue Origin rocket engineers next to Project Kuiper designers at the same table should be easy since Jeff Bezos owns Blue Origin. Amazon is in the process of building out a “Ground Station as a Service” product for AWS users, something that would appear to fit in neatly with the need to manage over 3,200 satellites in a couple of years. The company’s fleet of aircraft, trucks, data centers, and lockers, plus all those Whole Food stores could use Project Kuiper for their data communications needs, reducing external vendor costs. Project Kuiper is not a done deal by any stretch of the imagination. Until Amazon builds satellites in large quantities, it can pull the plug at any time. Amazon may also choose to forgo building its own network and take a stake in OneWeb or Telesat. Regardless, affordable satellite broadband is on a path to become available for billions of people around the globe in the next three years.